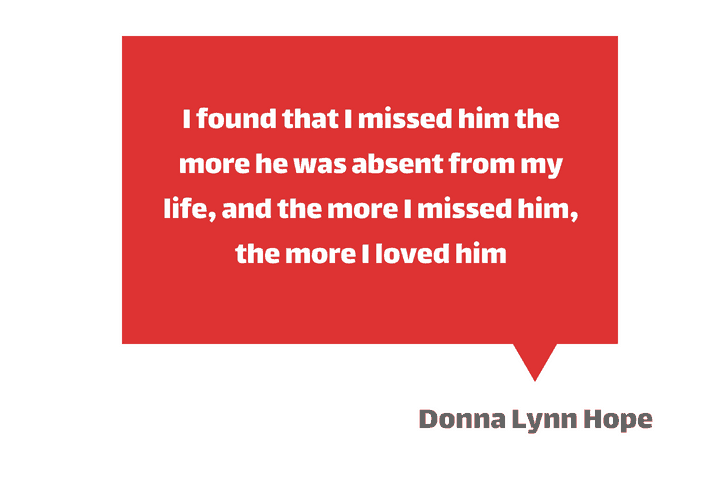 If you are searching for beautiful long distance quotes that capture the thoughts and feelings you’ve struggled to express, then you are in the right place. Ever missed someone so bad that you can’t find the exact sequence of words to express how you feel and then you stumble on a quote that expresses excatly what’s on your mind? In these beautiful moments, it makes me happy to know that I am not alone and someone else gets it. In this article, we will be sharing a ton of brilliant distance quotes. 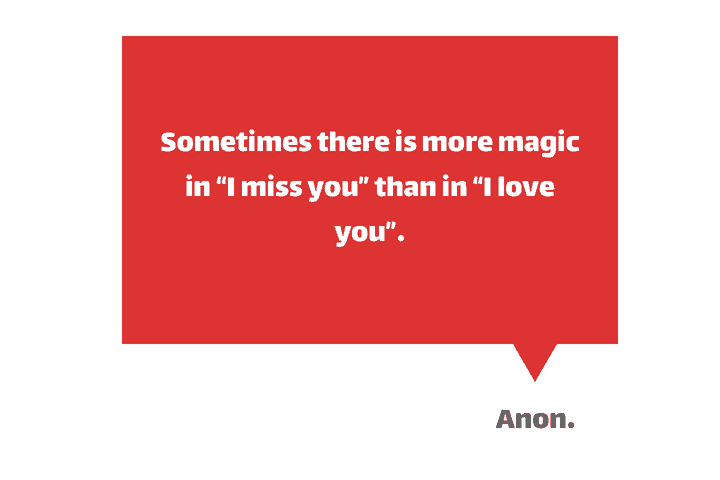 Surely, you will find yourself nodding to most of these beautiful, romantic long distance quotes. I miss you all the time, but I miss you the most when I lay awake at night, and think of all the wonderful times that we spent with each other for those were some of the best and most memorable times of my life. I miss you so bad it hurts. I’m holding my breath and hoping that you return soon. I don’t miss you and you alone, I miss you and me together. Missing you and not being able to see you and know that you are okay is the worst feeling in the world. At night, I roll over on our bed reaching for you, and then I realize you’re not there when my hand hits the empty space. I miss you so much. I hope you miss me as much as I do you; life without you is not the same. Thinking of you every second, minute, hour, day is medication to my illness of missing you. I hate that I miss you and that there is nothing I can do about it. I need a hug. No no, I need your hug. I guess that missing you is just my heart’s way of reminding me how much I love you. When I text you it means I’m MISSING you. When I don’t it means I’m WAITING for you to miss me. The scary thing about distance is I don’t know if you miss me or if you are slowly forgetting me. All I know is that I miss you. Is it bad that I miss you so much, that you are always the only thought on my mind? I wonder if we ever think about each other at the same time. The only way you’ll realize how broken I am without you is to put your hand on my heart and feel it limping along in pain. Distance: for those who know a good thing when they see it, even if they don’t see it nearly enough. Dear Distance, please take good care of him. I hate to think about you because every time I do, my tears are having a marathon. Please let me out of my misery. Even on the days where the distance seems to be too much I remind myself why I am waiting for you and then it doesn’t seem so bad. A princess, is how I feel when I’m with you and an angel whose wings have been clipped, is how I feel when I’m missing you. It feels like you’ve been gone forever. My heart feels homeless without you. Distance is not enough to quench the fire burning in my heart for you. You are near, Even if I don’t see you. You are with me, even if you are far away. You are in my heart, in my thoughts, in my life always. If the only place and time where I could keep you in my arms was in my dreams, I’d sleep forever. One kind kiss before we part, Drop a tear and bid adieu; though we sever, my fond heart, till we meet shall pant for you. I carry you with me, in my heart everywhere I go. I’m missing you. It means you`re missing from me. I need you here to feel complete. It feels as though I`m missing my other half. Without you, I`m not whole. Though time and distance separate us, our hearts are fused together, inseparable. A part of you has grown in me. And so you see, it’s you and me. Together forever, never apart. You left my heart swimming in a sea of loneliness. Ever since the moment you have gone away life is puncturing holes in my heart, day after day, let alone walk, talk and eat. I can’t even breathe properly. I just want this to end. Come back to me baby. I miss you. I’m lucky you’re mine and if it means waiting a lifetime to be with you, I’d do just that. I hope there is a medicine for missing someone because I need it now. I think my only medicine is you. I need you now. I long to be with you again, to savor the tickle your smile gives and to gaze into your eyes. I miss the moment of sitting beside you while you’re holding my hands. I also missed the moment you told me that you will love me forever. In short, I missed every moment I spent with you. A part of you has grown in me so you see, it’s you and me together forever. Every time my phone buzzes, I hope it’s you missing me. Any puzzle is incomplete without a piece, you are my life’s most beautiful puzzle, come and complete it, miss you lots! If I were a witch, I would wave my wand and bring you back to me. Since I am not, you will have to perform that trick on your own. I miss your eyes, your sweet voice, and your true love. The day you come back I’ll be waiting with a thousand roses and carnations. I love you. Missing you is a state of my mind which I love and hate. Hate because you aren’t here. Love because it reminds me of all the romantic memories that we share. I may not get to see you as often as I like, worse than that, I long to hold you in my arms all night, but deep down there I truly know, you’re the one for whom I live my life! You know when you’ve found it ’cause you feel it when they take it away. I miss you more than anything. My soul cries out loud your name wishing you to come back with me, and remember that our love is forever. I think my body is going mad because both my heart and my mind are saying, “I have to be with you as soon as possible. You may not realize, however, just how much I miss your presence. I need you like a plant needs water or the birds need to fly. Come home to me. If distance is what I have to overcome to be with you, then give me a map, I’m going to find you. But the most important thing is, even if we’re apart I’ll always be with you. Within you I lose myself. Without you I find myself, wanting to be lost again. When we are together, hours can easily feel like seconds. But when we are apart, days can feel like years. Despite the miles between us we still share the stars & sun, so I gaze upon them often it helps remind me that we are one. I know when I leave, the distance will keep us apart. But distance, no matter how far, can’t change these feelings in my heart. Distance doesn’t ruin people’s relationship. You don’t have to see someone everyday to be in love. Come home soon and ease this pain of missing you. You’re my rhythm; my music is incomplete without you. They say ”Out of sight, out of mind!” But how can that be true? You are not here, yet I can’t get you out of my mind. I am jealous of the moon that lulls you to sleep because I cannot. I am jealous of the sun that kisses you awake because I cannot. You’re my sleeping thoughts, you’re my waking thoughts. I know I’ll think of nothing else until you’re back. You are the missing piece to the puzzle in my life. All I need is for you to complete it. Mizpah: the deep emotional bond between people, especially those separated by distance or death. I’m connected with you, no matter where you are. That friend who you may not see very often, but the moment you reconnect feels like yesterday. A strong friendship doesn’t need daily conversation, doesn’t always need togetherness, as long as the relationship lives in the heart, true friends will never part. Can miles truly separate you from friends? If you want to be with someone you love, aren’t you already there? – Richard Bach. No one can ever take your place in my heart. I miss you a lot. When you’re done gallivanting, I’d be here waiting for you. In the meantime, I’ll keep myself busy missing you. I miss our cheerful banter, I miss our stingless arguments. I miss your mischief. I miss our friendship. People wonder why I look at the calendar a lot these days; I’m counting the days until you’re back. When your favourite person is away, nothing feels the same. When you said goodbye, a part of me hibernated. Now I’m only partly alive, waiting for your return so I can live again. I took you for granted a lot when you were here with me, now you’re away and I realize how important you are to me. Please come back, I’ll treat you right. Being so far away from you is discomforting, but I’m assured of your constant love and prayers. No bosom to cry on. No arms to pat my back. No reassuring words. I miss you. Though life compels us to live our separate lives, you’re always in my thoughts. I’ve become so used to you that life seems empty without you. You’re an integral part of me and I’m incomplete without you. If you were here, I would have a shoulder to cry on. I would have hands wiping my tears. You’re not here and I feel so miserable. If I knew I’d miss you this much, I would have held on tighter to the moments we had together, I would have opened my heart to you so you could see how deeply I love you. Now you’re so far away. The scariest thing about distance is that you don’t know whether they’ll miss you or forget you. – Nicholas Sparks. It’s so boring around here without you. I find myself constantly watching out, hoping you’ll pop out like magic. There’s no distance that can make me forget you. There is not much I can offer you but everything in my heart and I hope that is enough. Being friends with you has made things a lot brighter than before and I just love it so. I would never let distance define what we have, because what we have is very special. There are places in the world that I would want to go with you alone. Thank you for always being there for me even with the distance that separates us. Though separated by time and distance, the tie that binds us will never slack. 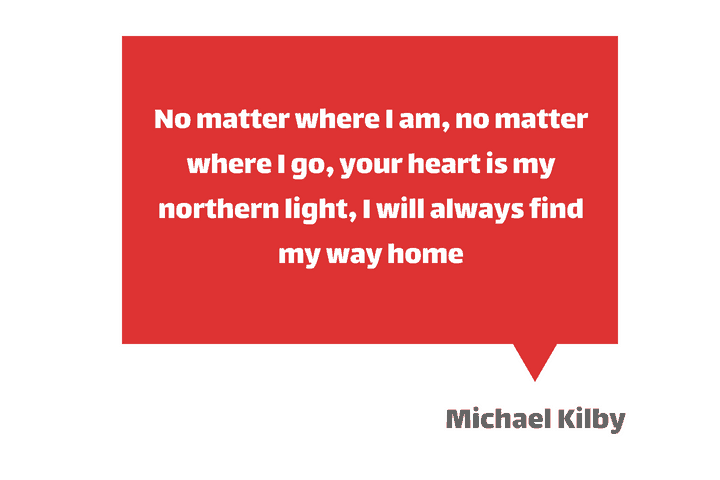 You will never be completely at home again because part of your heart will always be elsewhere. That’s the price you pay for the richness of loving and knowing people in more than one place. All the things we used to do feels so incomplete without you. My mind is still having trouble wrapping itself around the fact that you are gone. Let us meet once more when time permits us and I promise it will become memorable. Sweet memories of what we share are what keep me going. I cry myself to bed every night. It’s so hard without you. I miss you real bad. I hide my tears when I say your name, but the pain in my heart is still the same. Although I smile and seem carefree, there is no one who misses you, more than me! I Miss You! Nothing feels the same without you. It’s you who flavours my life. Missing you is a terrible feeling. The nights are cold and silent without you by my side. I hug the pillows for warmth but it’s never the same. I wet the pillows every night with tears of loneliness. There’s an ache in my heart only you can cure. In a long distance relationship your love is tested and doubted every day, but you still prove to each other that it’s worth it. That is what makes the relationship so special. I can’t seem to get you out of my head, but maybe you are supposed to be there. Your absence leaves me weak and vulnerable. I never realized you had become so important me. I miss you so much and I’ll be counting the days until you’re back. When it rains it reminds me of you. Although 2000 miles away is so far away, I still always walk outside in the rain and kiss it just for you. It never fails me. The rain will always come and I’ll always love you. I dream of the day when there will be no more lonely nights. Loving you is the most beautiful feeling ever. Missing you on the other hand is a feeling I’m finding hard to deal with. Loneliness has trained me. Now I appreciate you more. You’re as important to me as breath. I like the sound of your voice even if it’s from a thousand miles away. It keeps me going. No great love ever came without great struggle. There is magic in what we share and I want to tell you that I care for you so much. Growth in love comes from a place of absence, where the imagination is left to its own devices and creates you to be much more than reality would ever allow – Coco J. Ginger. Distance is only a number, feelings can’t be measured, and time doesn’t exist when you have someone you can’t get off your mind. Long distance relationship is one of the best relationships… It’s really sweet to see two patient hearts that are willing to wait because they think that everything is worth it anyway. Long distance relationships are living proof that love is not just physical. Absence is to love as wind is to fire; it extinguishes the small and kindles the great. – Roger de Bussy-Rabutin. Being in a long distance relationship means putting your heart on the line, but believing that the one you’re taking chances on is worth it. We may be millions of miles apart from each other, it just added for the Love that we have, because we both know that time will come that we will be together until forever. A long distance relationship isn’t hard at all, it’s just a matter of trust, commitment and holding on. Into my life you wandered, when least expected and most welcome. Little did I know it then and am only realizing it now how much fuller and complete things feel with your presence. If you truly love something, give it a chance to fail. If it survives, it is going to be stronger than ever. Distance is the test, distance is the proof. What greater thing is there for two human souls than to feel that they are joined, to strengthen each other, to be at one with each other in silent unspeakable memories. You make me a better person and that is one of the reasons why I love you. You may be far away, but you are always close to my heart. It’s good that we are far away because we learnt the patience to wait for each other. When people ask me if long distance is hard I tell them no because I have you. Even If The Days Don’t Allow Us To Meet Each Other, Memories Will. If My Eyes Can’t See You, My Heart Will Never Forget You. As we grow older, this love that we share for each other keeps on growing over and over. If you want to live together, you must first know how to live apart. I wonder why people still underestimate the authenticity of long distance relationships. I fell in love with her soul before I could even touch her skin. If that isn’t true love, then please tell me what is. Long Distance Relationships are not the most pleasant, but they help cultivate some of the most essential virtues needed for a solid foundation in any relationship – like trust, tolerance, and patience. If you’re ever in a difficult long distance relationship, we hope these Quotes would serve as a place to start from when expressing all the thoughts in your head. 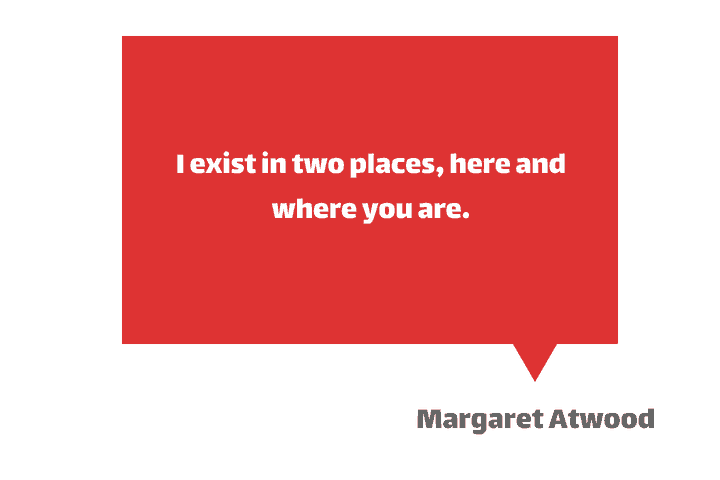 What are some of your favorite Long Distance Quotes?